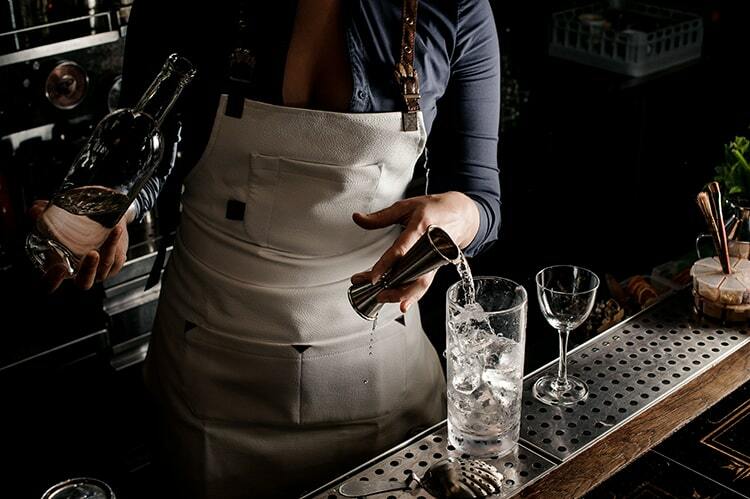 Find answers to the most commonly asked questions about our online alcohol server classes. Chances are if you're experiencing a problem or need help the solution will be here. Please make sure to look through all of the FAQ Knowledge Base content before contacting us to ensure you get what you need as soon as possible. This page is for FAQs specifically pertaining to the Washington MAST Permit. If your question is of a more general nature check out our General FAQs page. What kind of permits are there and which one do I need? A Class 12 Permit or Mixologist’s Permit is required to work behind the bar, mix drinks, pour tap beer or wine, or manage an establishment which serves alcohol for on premise consumption. A Class 12 permit holder may act solely as a server. You must be at least 21 years of age to possess a class 12 permit. A Class 13 Permit or Server’s Permit will allow you to take orders for and deliver alcoholic beverages for on site consumption. A server may open and pour beer or wine into a glass at a customer’s table, but may not mix or pour from a tap, or manage a facility which serves alcohol for on site consumption. A server must be at least 18, 19 or 20 years of age. When someone takes a mandatory server training class, do they get their permit at the completion of the class or is it mailed to them? According to the new rules under WAC 314-17, a mixologist can be a liquor licensee or employee. Under what circumstances does a licensee (sole proprietor, partner, corporate officer/stockholder) have to get a Class 12 permit? If the licensee "manages the retail floor space," they need a Class 12 permit. A "manager" would be someone who is involved in the day-to-day operation of the business, is normally available at the premises a portion of most workdays, is involved in hiring/firing people, ordering liquor, banking, and the sale and service of alcohol by supervising employees who sell/serve alcohol or may do so his/her self. Most liquor licensees will have to obtain a Class 12 permit. If the licensee does not manage the business, i.e., does not spend time there, just collects money and hires a manager to run the business for them, then the licensee will not need a Class 12 permit; the manager will. Can a Liquor Control Agent check on an employee to see if there is any violation history? The Agent can check a permit by permit number, name, and DOB to see if they have a servers permit, what kind, and when it expires. How many violations does a permit holder have to commit before the permit is suspended or revoked? Penalty guidelines recommend a 5-day permit suspension for the first violation. If an employee’s permit is suspended for a period of time, may the employee continue to work? If an employee’s permit is suspended or revoked, the employee cannot work in the sales or service of alcohol during the suspension period. If the suspended permit employee continued to work, a criminal citation under RCW 66.20.310 (6)(b) would be issued to the employee; an AVN would be issued under RCW 66.20.310 (6)(a) to the licensee who allowed a suspended/revoked permit holder to work, serving alcohol without a permit. You must pass the exam that will be given at the conclusion of the training with a score of 80% or better.